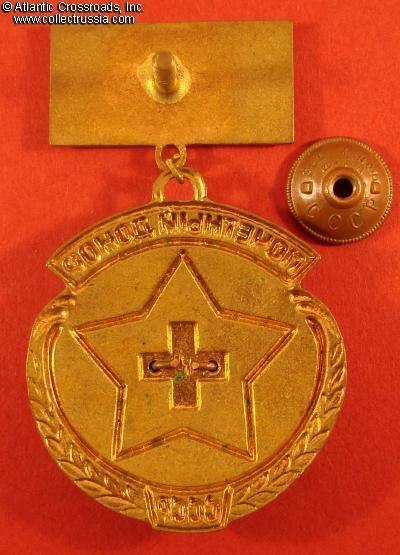 Medal of Honored Blood Donor of the USSR, circa 1950s. Brass, enamels, very high quality. The pendant portion is about 1.5" diameter. 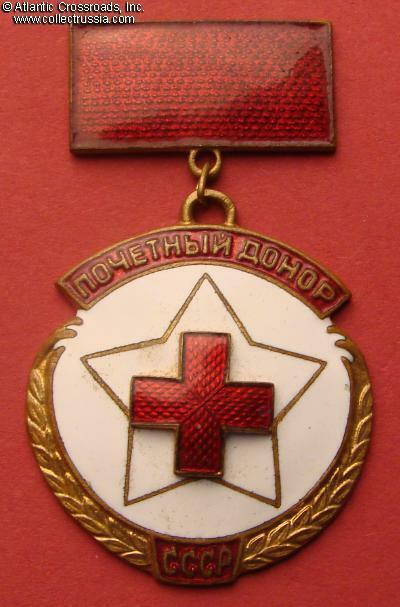 Round white badge with outline of a star and superimposed red cross in the center. Gold wreath at the bottom. Red enameled suspension device. Excellent condition. Includes original maker marked screw plate.